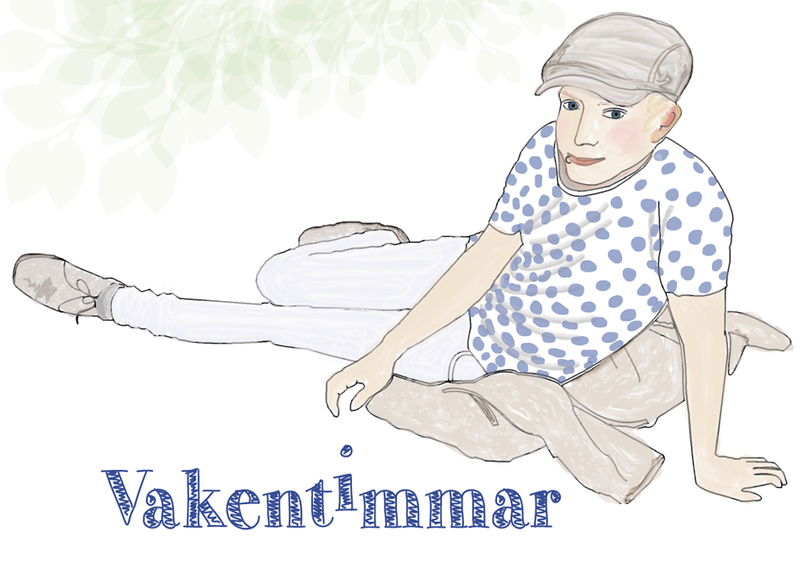 vakentimmar: "Between performing mini funerals in surreal locations, the girls practice being bad!" "Between performing mini funerals in surreal locations, the girls practice being bad!" Jag minns när jag såg Jess + Moss för första gången. Clay Yeters debutfilm var fantastisk. Jag beskrev den som en film präglad av en skönhet som är omöjlig att motstå. I eftertexterna till filmen hörde jag Drew Denny för första gången. Hennes låt "Blah Blah Bye Bye" tryckte sig in i mitt hjärta och jag älskade varje ton av den. Nu är Drew Denny aktuell med sin regidebut, The Most Fun I've Ever Had With My Pants On. Jag fick tag på Drew och frågade om filmen och om hennes pappa. Livet fortsätter alltid på något vis. Intervjun publiceras på originalspråk. For those who haven't seen it, what is your film all about? - The Most Fun I've Ever Had With My Pants On is a road film about two estranged childhood girlfriends, Andy and Liv, who drive from Los Angeles to Austin, Texas. Andy is scattering her father's ashes and Liv is preparing to audition for the role of a vixen spy in a noir film! Between performing mini funerals in surreal Southwestern locations, the girls practice being bad! - I wrote the film while caring for my father as he passed away, so his spirit was definitely an inspiration. Remembering his favorite quotes such as "you're only as old as the women you feel" definitely motivated me to laugh through the tears! - Filmmakers I am especially in love with include Věra Chytilová, John Cassavetes, Werner Herzog, Wim Wenders, John Waters, Mae West, and Lucrecia Martel. For this project, I was also inspired by bats, owls, my best friends, all the artists on the soundtrack and the desert. What’s it like being a first-time filmmaker? - My favorite part about doing something for the first time is having no idea what I should be afraid of! - I went to film school at USC then worked as a musician for several years before studying philosophy in grad school at Cal Arts where I began creating multi-media performance artwork and interactive installation. Tell me a little bit about the style of your filmmaking? - I am still figuring out my style but I want it to be an integration of all these processes - I want to tell compelling stories with viscerally pleasurable imagery, thoughtful sound design, humor, heart, and a critical but fun-loving self-reflexivity. Your father is one of the biggest characters of the film. What was he like when he was alive? - Like most dads, he was the best and the worst. He was a big guy with a big personality. He could charm the pants off anyone - no matter how much trouble he got in, he always tried to make sure everyone was having a good time. He left when I was a kid so I only saw him a few times a year for most of my life. I heard the title of the movie is from him? - Yup. The title actually comes from his favorite thing to say: "Killing someone is the most fun I've ever had with my pants on." What was your relationship with him like growing up? - When I was very young, we were close. He watched me ride horses, and I watched him smoke cigars. He moved out when I was eight and left the country for good when I was ten. We developed a very strange but loving friendship after I'd grown old enough to sympathize with him. I visited him often in Colombia where we talked about women and swam in the sea. When did you realize you wanted to make a film about all this?- I created a performance for a gallery in Los Angeles on Father's Day a few months after my dad passed away. The piece combined video projection, live performed music, pre-recorded score, narrative and audience participation. I realized the feeling could be better investigated through filmmaking so I adapted the performance to a script and set out with my friends a month later to shoot the film. Can you tell me a little about the main characters? I heard Andy is half-based on your life? - Andy is another daughter my father could have had. She's the little badass inside of you that you rely on when grieving to help you remember what's beautiful and exciting about chaos! My friend Dan, who writes for LA Record, called her my roaring id! He's probably right. I am much quieter than her but am proud to have that spirit in me - the bad girl who isn't mean. - Sarah Hagan's character, Liv, is a bit based on Sarah as well. Liv is an actress struggling to shake a "good girl" image, which Sarah has dealt with after becoming so well-known for her character Millie on Freaks and Geeks. Though adorable and in many ways a kid at heart, Liv (like Sarah) is a complicated woman who wants to express all aspects of her personality. How did you find the balance between the comedy and tragedy of your story? Wasn't it difficult? - Humor is a brush and art is the frame. A mode of manifesting meaning and its context, regardless of medium. In EMT school I learned that cardiac tissue cut from two different hearts will start beating on the same rhythm if placed near one another. That’s how I think of humor and tragedy - composed of the same substance, pulsing with the same life but representing different destinies. What’s the funniest part of making your own movie? - Working for days with no sleep and no food puts you in a funny mood, and the hilarity reached great heights when one of our crew members had to wrangle a lost donkey and once the car broke down in shot! - The best part was noticing every now and then how well we were working together in such extreme circumstances - out in the middle of the desert, on top of a cliff in a monsoon! Performing and shooting and lighting, recording sound and watching out for each other... I am so lucky to have such kind-hearted and wildly talented friends! - The worst part is that it's over! I mean, I love sharing the film with audiences! I have learned so much and met so many wonderful folks, but I just want to go back out there and do it again. What kind of movies do you enjoy yourself? - So many kinds! Those made by the people I mentioned earlier but, perhaps more interesting for your readers - many films made by friends of mine! It Felt Like Love is on the festival circuit now, and it is stunning. After Tiller is a phenomenally important documentary that everyone should watch. Jess + Moss is the film that motivated me to reach out to my friends to work together - it's a gorgeous piece by many of the same folks who worked on Fun Pants. How much were you involved in Jess + Moss? - Jess + Moss was made by very dear friends of mine but I wasn't involved in the production of that film. At that time, I was working abroad participating in performance art festivals and playing music. I saw the film at Sundance where I was exhibiting some photographs from a project of mine in Bolivia. I was so moved by the film and wildly impressed by my buddies Clay Jeter, Will Basanta, Isaac Hagy, and Sarah Hagan. Later on, Clay asked me to donate a song for the end credits so now if you watch the film you'll hear my song "Blah Blah Bye Bye" at the end. I'm glad I could contribute something to that work which absolutely changed my life. Clay, Will, Isaac, Sarah and many others from the Jess + Moss family created Fun Pants! Do you like any Swedish movies? Seen any good? - Well, of course I know Bergman! Actually, Persona was an influence for Fun Pants! (not that you can really tell) I named Sarah Hagan's character Liv after Liv Ullmann. I love her, and I love Persona. In fact - we quoted a shot from Persona! In the scene when we're laying in the tent! What else is next? Planning to make another film? - Yes! I'm writing two feature scripts right now and producing a documentary. Ni kan följa Drew Denny och hennes film på Facebook här. Filmens hemsida hittar ni här, där kan ni även se filmens trailer.